Many of us will have an infection of some sort during our lives, and our body’s immune system will help to defend against it. Sometimes this requires antibiotics or antivirals. But when an infection can’t be stopped, sepsis can occur. Sepsis is a life-threatening disease where the body actually injures its own tissues and organs. No one knows exactly why it occurs…but it can cause bacteria and toxins to alter a person’s blood pressure, heart rate, and temperature, which can prevent the body’s organs from working properly. 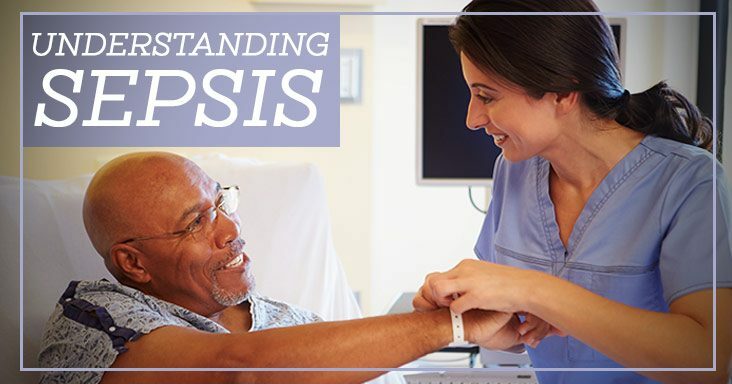 Sepsis is often linked to infections in the lungs, abdomen, kidneys, or skin. If you have an infection, be mindful of any changes in your breathing, heart rate, blood pressure, or body temperature.